10 Mar Filed under In Concert, Major Acts. No comments. 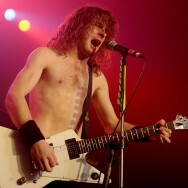 Airbourne at the Schlachthof in Wiesbaden, Germany - "Genuine fist-pumping, sweat soaked, highspeed Rock’n Roll!"